Home›Higher Education›Standardized Testing for Colleges: A Necessary Evil? Standardized Testing for Colleges: A Necessary Evil? Standardized testing in K-12 education is a perennial hot button issue. Proponents feel that measuring knowledge in these rigid ways helps lift the entire educational system. Critics say the measurements do nothing but encourage “teach to the test” methods and narrow the scope of what instructors are able to teach if they want to have acceptable test results. These arguments are nothing new, but they are now seeing a new audience. What if the same principles of K-12 standardized testing were applied to colleges and universities? Americans spend over $460 billion on higher educational pursuits every year, yet there is no official worldwide system in place to determine whether students are learning what they should, compared to other schools. In June, the Organization for Economic Cooperation and Development unveiled research on whether a global testing system for college students is possible. The group will continue to review its findings and decide later this year if it wants to push for implementation of the Assessment of Higher Education Learning Outcomes test, abbreviated as AHELO. Right now the comparison system for colleges and universities lies in the many rankings that are released each year by sources like U.S. News & World Report and hundreds of bloggers who weigh in on the topic. The AHELO would be a “direct evaluation of student performance at the global level…across diverse cultures, languages and different types of institutions.” It would provide institutions feedback meant to help them “foster improvement in student learning outcomes.” In a nutshell, the test would not actually measure student achievements as much as shine the light on instructors that need some improvement. To K-12 students, this sounds familiar. To college faculty, the idea is fraught with landmines. How can one test take into account so many variables in higher education across the globe? Would instructors be punished by the institution, or even worse held to some misguided accountability scale by peers, if students did not rank highly enough on an AHELO, or some other test? If college is a time for fostering critical thinking skills, would a standardized test take away some of that freedom? College instructors and administrators are right to have doubts, and particularly before any testing mandates go into effect. Take the classic college entrance exams – the SAT and the ACT. Though research has found little correlation between results on these tests and actual knowledge or intelligence, they are a standard part of college admissions. It is more difficult to reverse a testing mandate than to fight it off at the outset. It is easy to see why colleges and universities are leery of standardized testing, but K-12 instructors should be too. Presently, K-12 instructors guide students through the formative education years, dealing with standardized tests and other demands of contemporary teaching. Success with those students is ultimately determined by two other numbers: graduation rate and college placement. At that point, a K-12 teacher’s job is done, at least in theory. Adding another layer of teacher testing (cleverly disguised as core knowledge testing) at the college level could have an impact on K-12 instructors too. If the AHELO is designed to “foster improvement” in the higher education schools that are tested, who is to say that those ideals of improvement will not then be extended to the K-12 schools that came beforehand? A student who demonstrates below-college-level proficiency in language or math would in theory not be the product of college that failed him or her – that student’s incompetency would be a result of a previous school, or schools. Could a global test for college actually negatively impact the K-12 schools that preceded it? As with any measurement of teaching and learning, the AHELO and other similar initiatives need close scrutiny before becoming global law. I am not sure of the necessity of such a system and it will take some hard arguing by the other side to convince me otherwise. Are you in favor of standardized testing in colleges and universities? 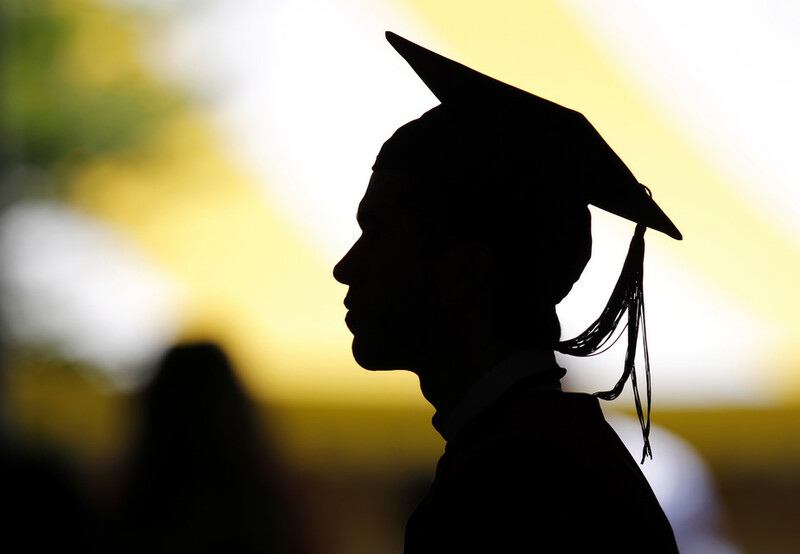 Will Free Community College Help Minorities Succeed? Should higher education be bundled, or unbundled? Standards should be different for universities and colleges. They should be looking at GRE, MCAT and other standardized tests for graduate schools as a way to ensure the teachers are doing their jobs. They should be looking at job rates. There’s a lot of other ways to rate colleges then by standardized tests. I don’t think that standardized tests are the answer — but I do think there needs to be much higher accountability than there is today. Colleges cannot continue to simply take money from students and their families with no metrics in place to be sure they are living up to their end of the deal. No, standardized tests are not the answer! Colleges and universities absolutely need to be held accountable for their students, but this form of testing just isn’t the way to go about it. No! Standardized tests are definitely not the answer. I actually hope they implement them at the college level, however, because it will finally force the Universities to realize how ridiculous they are. Right now the only reason that they are relevant in K-12 is because the University system has them in shackles. Due to the culture created, K-12 students are not at school to learn skills, they are at school to earn grades and get good test scores so that they can get into college. At the K-12 level, we have somehow become a minor league system for the Universities, pretending that every student needs to attend college. This has trickled down to about 2nd grade at this point. Once the Universities are forced to realize how ridiculous standardized testing is, they will begin to stand up against them. At this point, the K-12’s will feel empowered to stand up against them and they will disappear. This concept will not work at the University level, because there will be nobody who cares about them. Right now, the K-12’s have motivation….and that is because the Universities care. When students leave the Universities, however, they enter the real world. In the real world, stupid things with negative ROI do not matter as much. The circus ends. Google and many other companies have already spoken out about the irrelevance of grades and test scores. Many more will follow over the next few years. Why would a University care how their students and professors perform on tests that measure an imaginary performance metric? It shouldn’t matter how students do on these tests, but rather how ready they are for the real world and for their career. The tests cannot measure creativity, passion, growth mindset, or a plethora of other traits that are far more important than the ability to memorize a bunch of dumb stuff. I would ask the question of how many of the University’s students are employed after 5 years. What is their average salary? What is their job satisfaction? How far have they had to move? Have they received promotions? Etc….. These are the only metrics that will determine how good that University is doing at preparing students for their career. This is already being done…and will carry much more weight than any stupid standardized test could. The teachers and professors who are preparing students to be really good test takers are not necessarily (and usually not) the ones who are preparing passionate, creative students who are good at communication, collaboration, and critical thinking….and who are ready to handle whatever life throws their way.